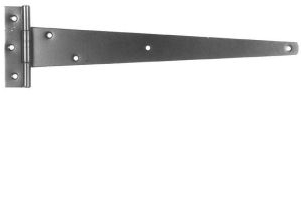 A selection of gate hinges including t-hinges, hook and band hinges and heavy reversible hinges, in a range of different sizes and finishes. 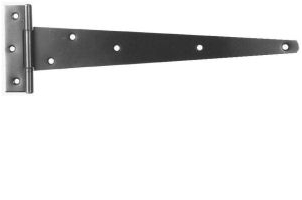 Our t hinges are ideal for general purpose shed and fence applications and our sizes range from light duty 6'' hinges to heavier duty 24'' hinges. 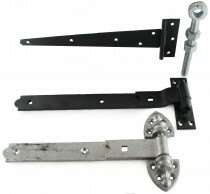 For the heaviest applications we have hook and bank hinges and heavy reversible hinges. 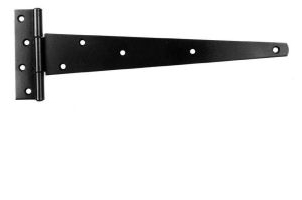 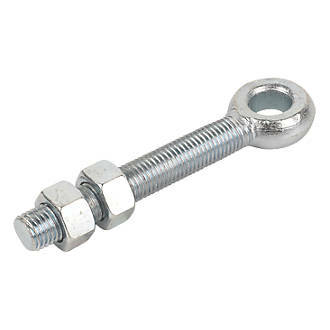 Available in lengths up to 3 foot, they are suitable for heavy stable and barn doors.